I've noticed lately that Photo booths—in all shapes and sizes—are becoming increasingly popular at events. 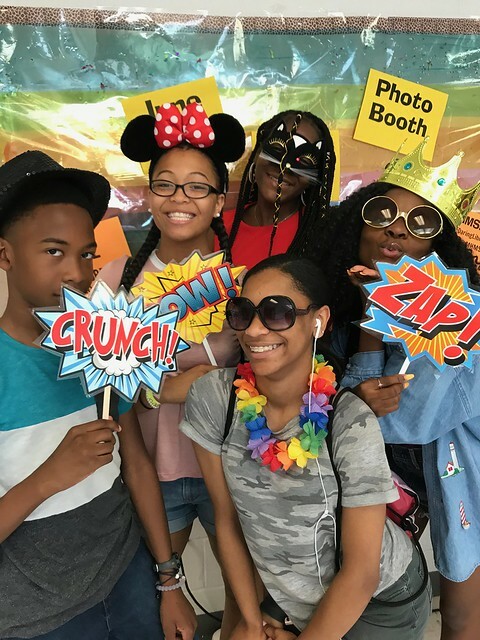 From fairs, community outreaches, dances, weddings, even Bat Mitzvahs, the photo booth is providing more than fun and games. 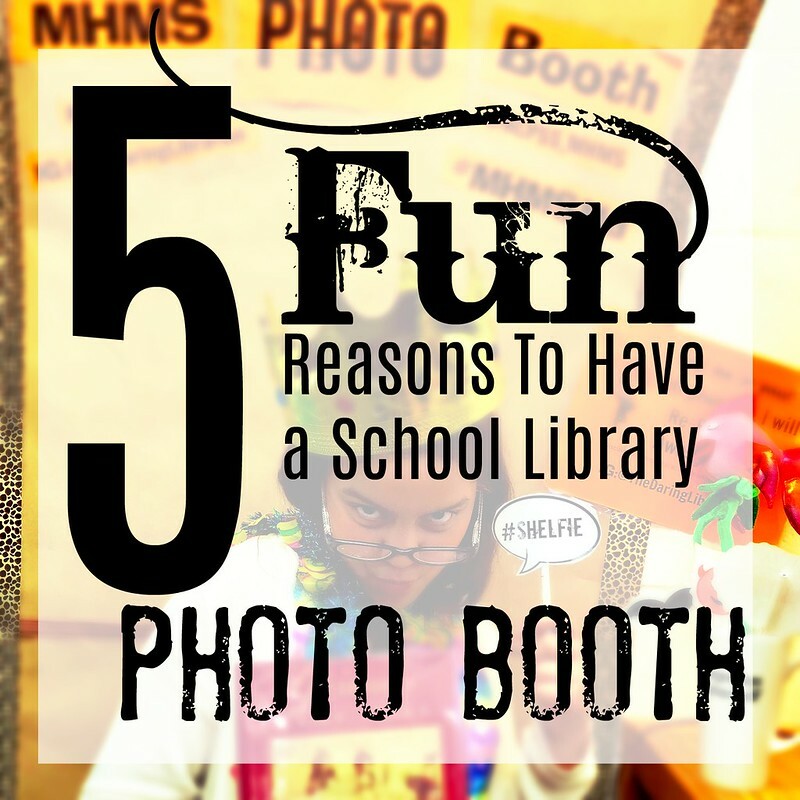 So, here's my list of 5 ways your school library (or classroom) can benefit from a photo booth. 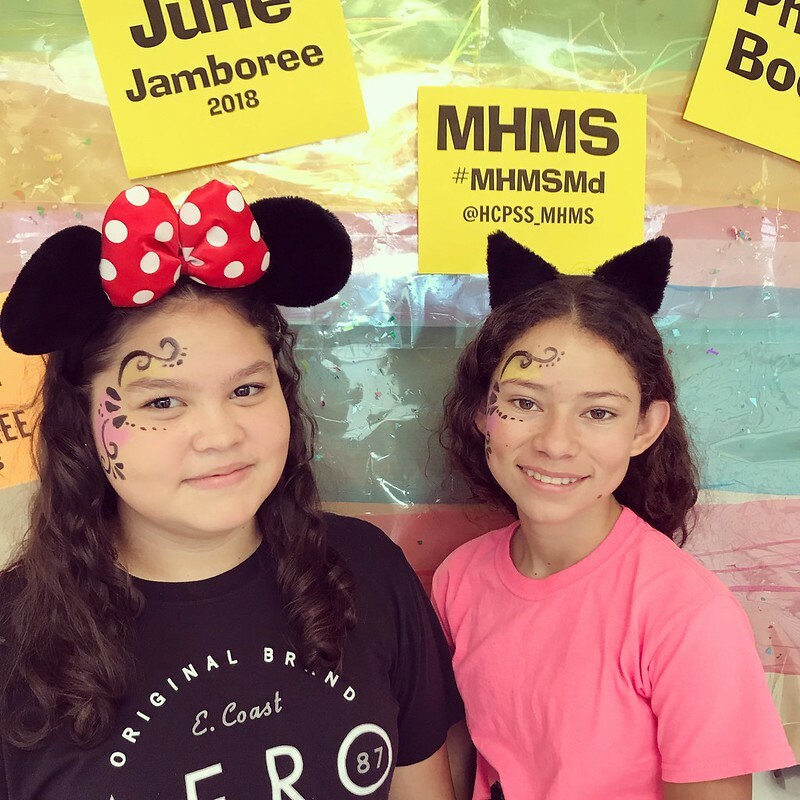 This simple, easy, & cheap DIY Photo Booth has added a lot of FUN to our school library and our end of the year celebration, our June Jamboree. 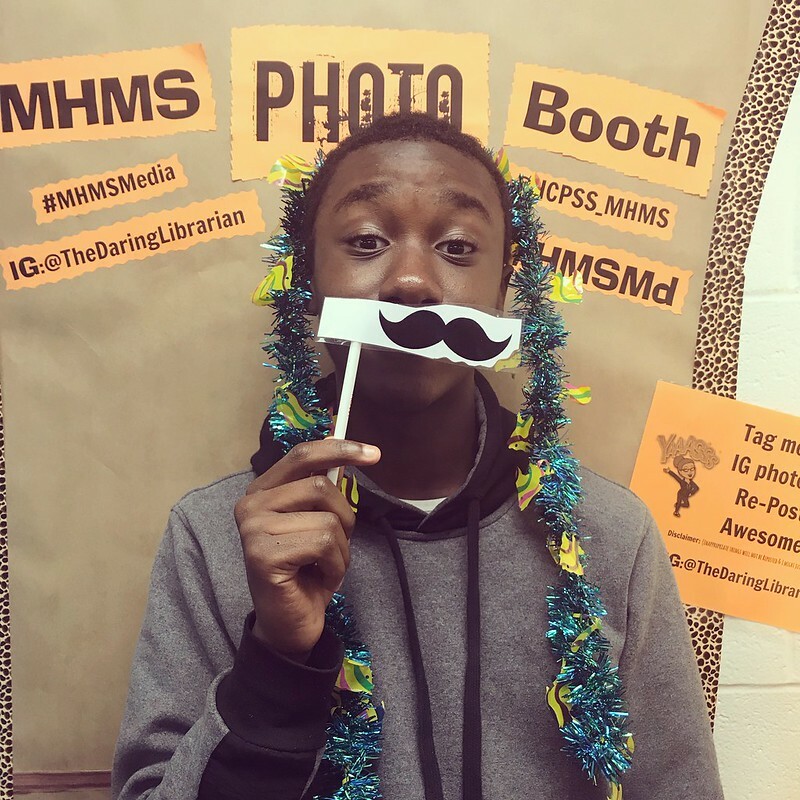 WARNING: If you don't know what your school photo or BYOD policy is - you really need to find out before creating a photo booth. 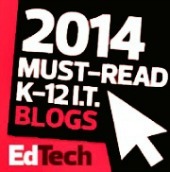 Every district or school can be different. But in our school we discourage most photos and videos being taken unless it's for a special event, part of a classroom lesson or experiment, or for a good reason. 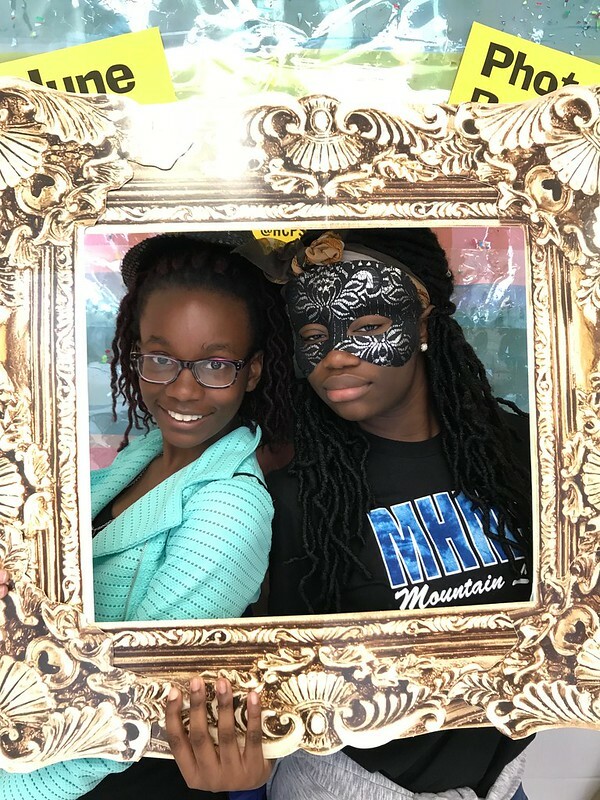 A photo booth is a good reason! 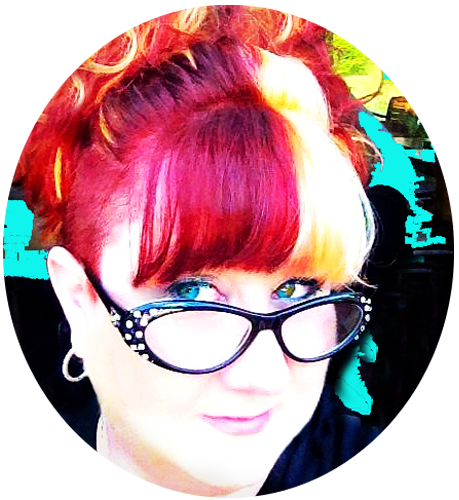 It's a good way to model appropriate (and fun, have I mentioned fun yet?) use of Social Media. 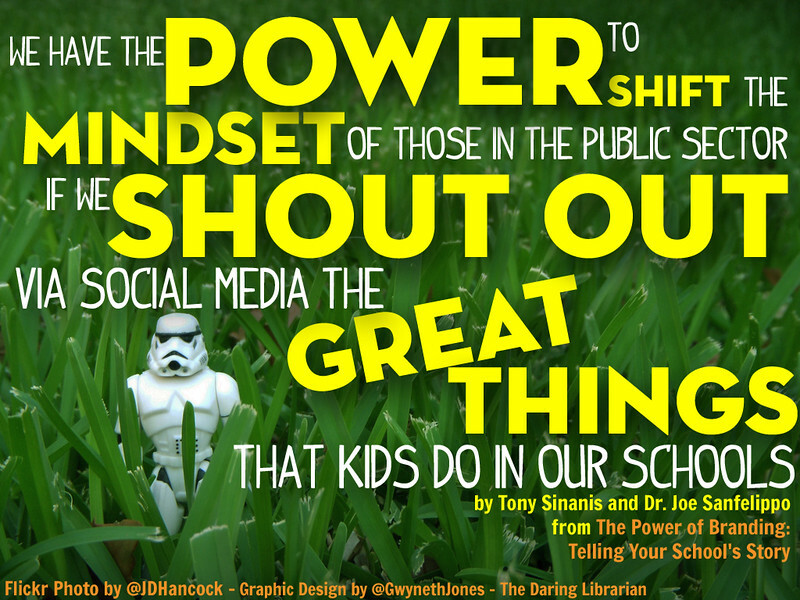 Because I teach Middle School and the issues surrounding CIPA, I don't teach WITH Social Media, but I do USE Social Media to share and push the positive that happens every day in our school. 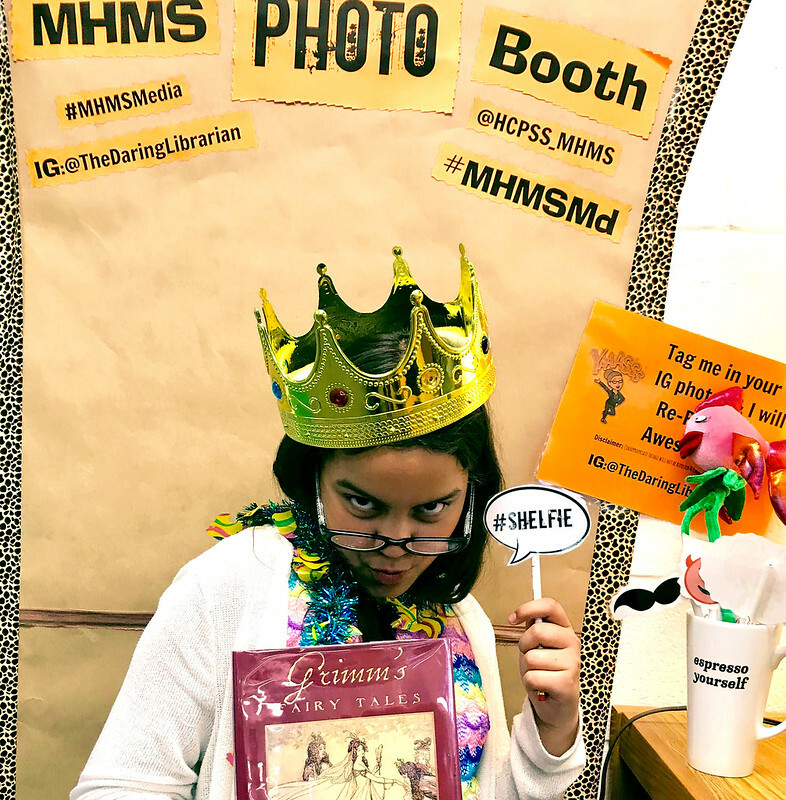 The cool thing about a photo booth it creates yet ANOTHER reason for kids to flock to the Library Media Center. 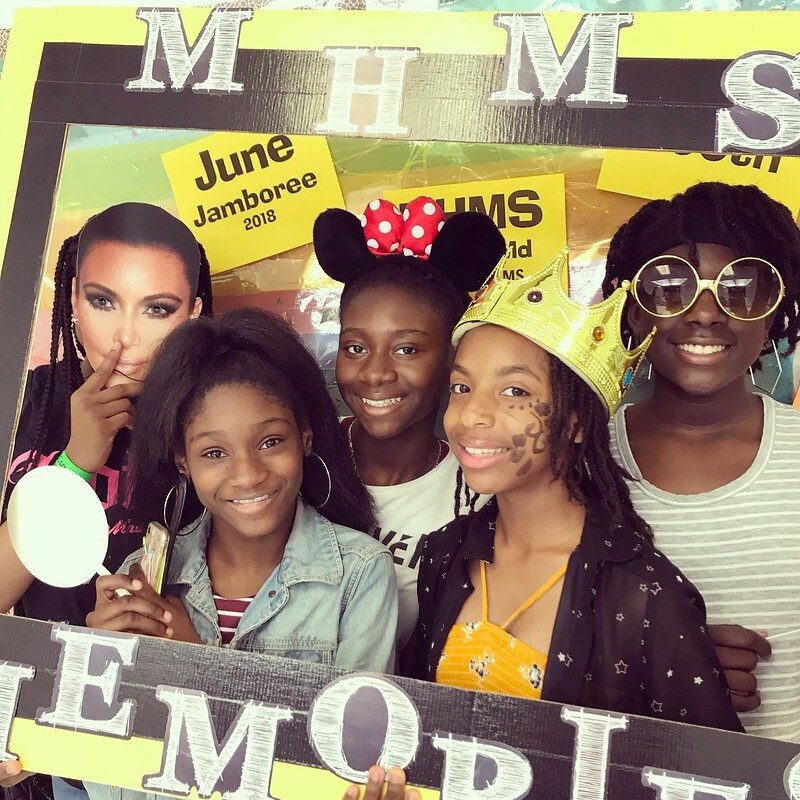 If they can't take pics in other parts of the school, I always say - bring your friends to our Photo Booth! Birthday? Photo Booth. Transferring away & and want memorable pics with your friends? Photo Booth. Shelfie? Photo Booth! 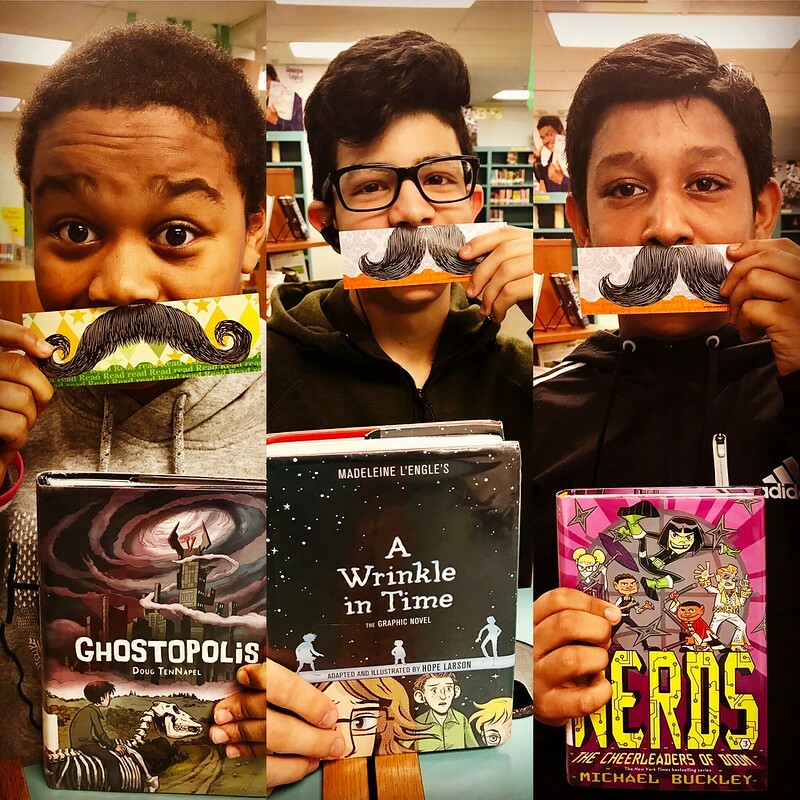 or I mustache you to gather round, folks! I've noticed that parties or events that feauture photo booths, it really amps up the excitement. People start to dress up, talk, pose, get silly, and mix it up. 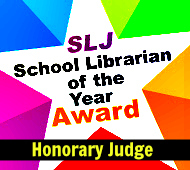 This is a good thing for a school library! 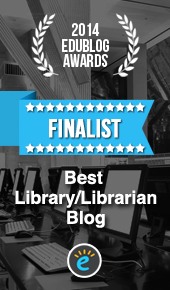 Positive engagement equals a positive opinion of the Library Media Center. People love props. Kids love props. Who doesn't like dress up? Some kids are shy or parents don't want them to be in photos or on Social Media - props help break the ice or disguise them. They don't have to be expensive, either! 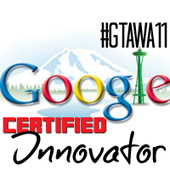 I made some using my favorite Digital Photo fun destination @PicMonkeyApp. They have the emojis, call out graphics, Super Hero sayings, and great fonts to use! I've l've also added hats, sunglasses, discarded reading glasses, and plastic crowns sourced from donations and thrift shops. Don't want to go to all the effort? That's OK! I did it for you! 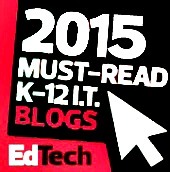 Download and print these 2 PDFs embedded below. OR... get them on the cheap via Amazon. Don't laminate them, I did that at first (naturally, we laminate everything) but it causes a glare. Then whatever stick you're using - whether what is included, a Popsicle stick, or pencil - re-enforce it on the back with packing or duct tape. I can't find the original set I bought on Amazon pictured below, maybe it's not available any longer at the same price. But this one is close! Don't you hate when that happens on Amazon? 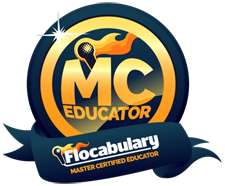 Price fluctuation? Here one day and gone the next? I also bought a cardboard fancy picture frame and duct taped it to a foam core square to make it sturdy. 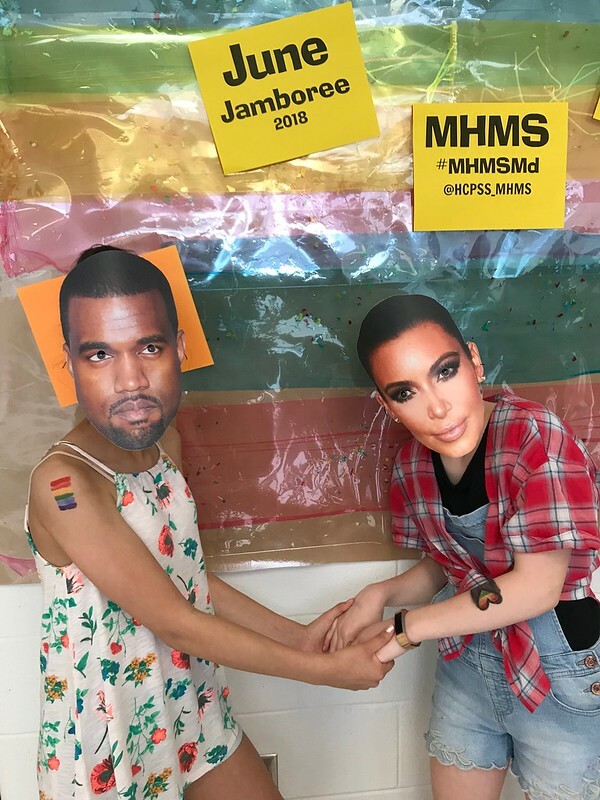 Awesome 7th grade Maths Teacher Ms. Behrens @lbehrens8511 also made a cool photo frame using cardboard and stick on letters that said MHMS Memories and we also borrowed that for the event. This frame was BIG! Look above, it fit five kids in one picture! 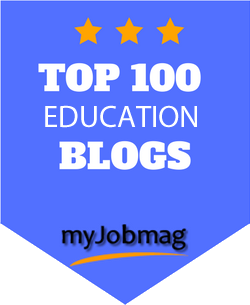 Make sure you can fit in at least 2-3 kids when planning these. Pro Tip: Go to your local thrift shop and pick up hats, glasses, wigs, costume jewelry, and other cute dress up stuff! Or ask for donations! Pro Tip: Don't laminate the props, that will cause a glare! 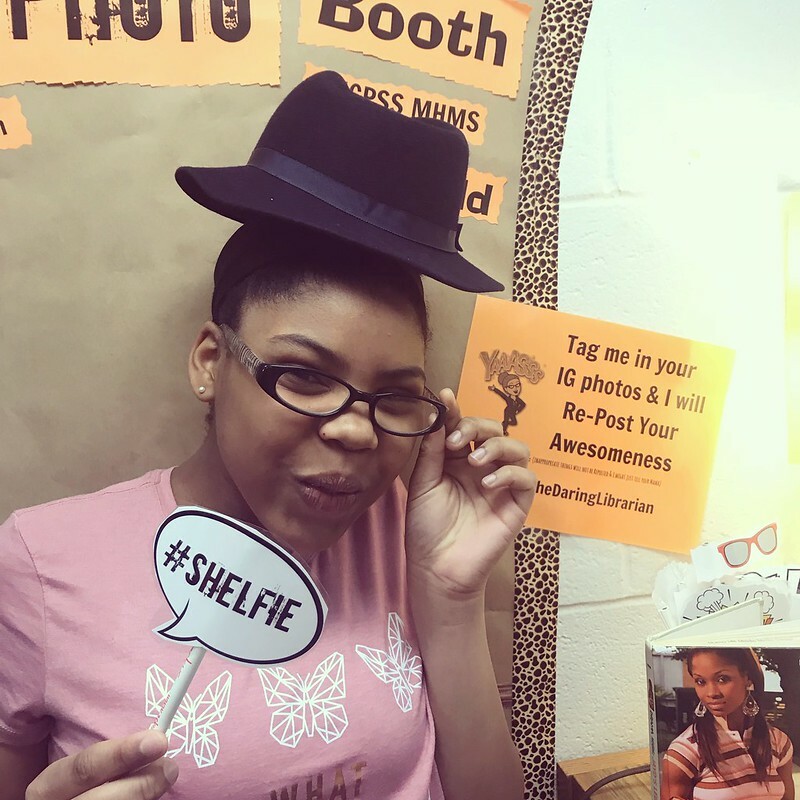 Add a little celebrity status to your Photo booth! 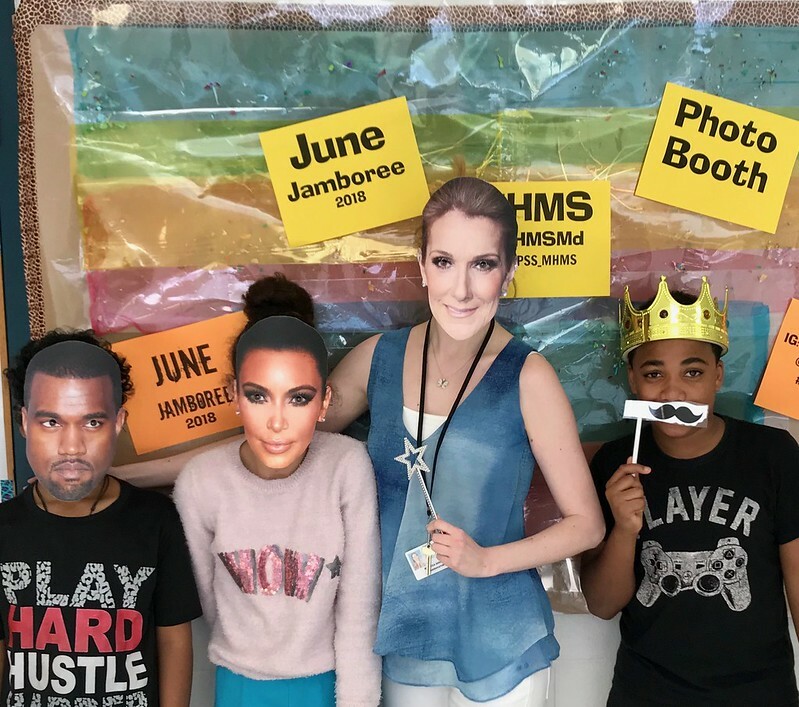 This is kind of silly, but it was such a HOOT seeing kids pop on a celebrity mask and pose for a Photo Booth picture! 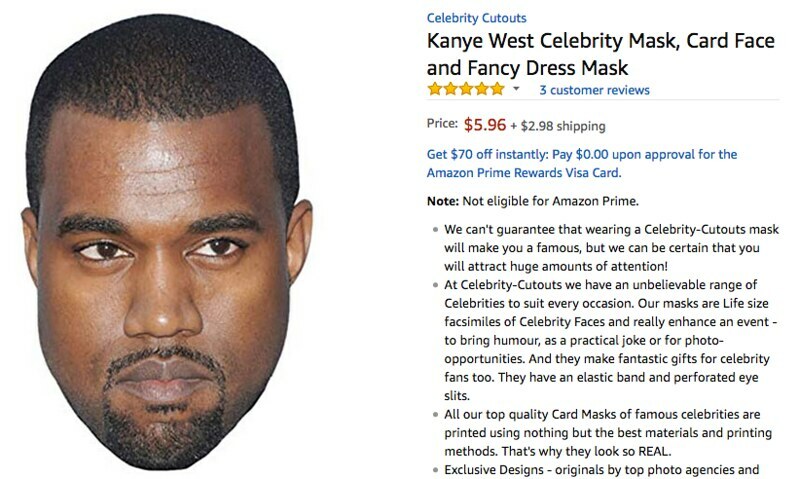 I bought the Kim, Kanye, and Celine (with my own $) masks via Amazon. My friend Rebecca bought the Royal Family. 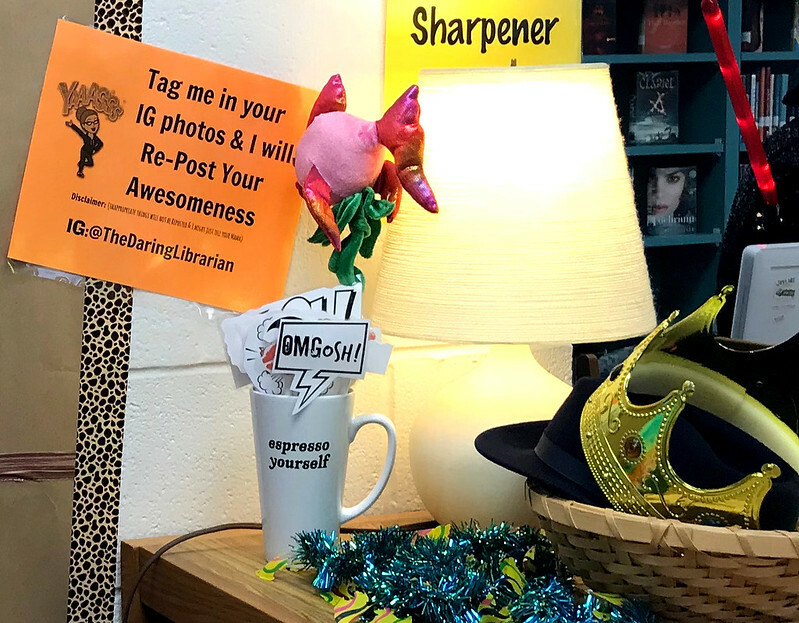 Who doesn't want the Queen, Harry, & the Markle Sparkle in their library? 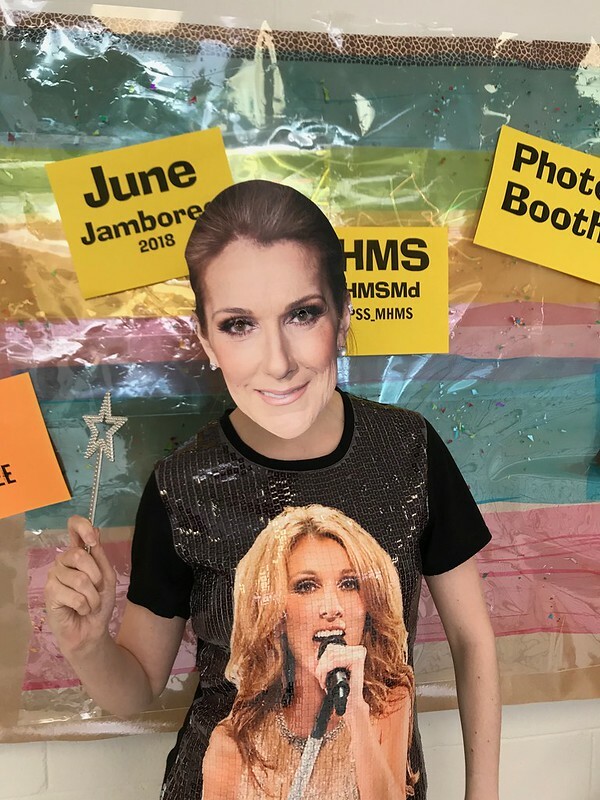 Sequin Celine Dion T-Shirt Optional. Ms. Gould got that in Las Vagas. As one does. 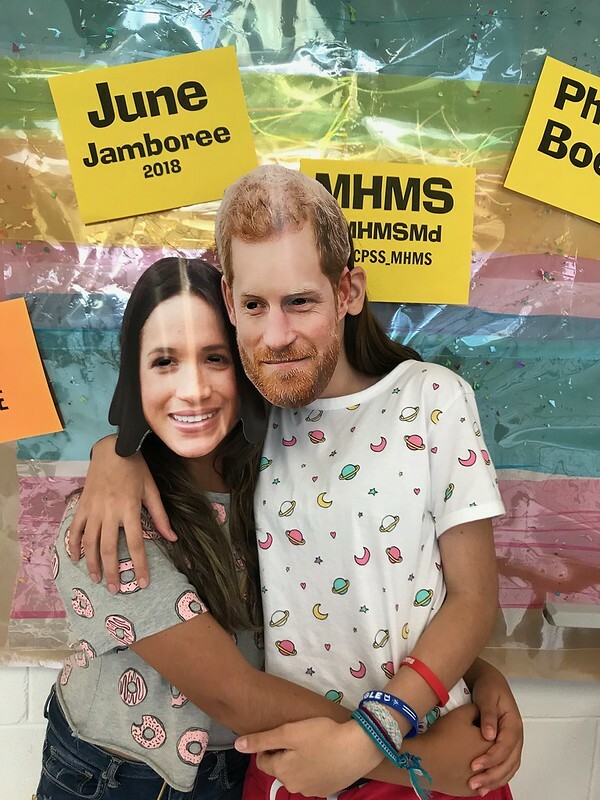 Oh and how about the fact that kids being posted in the Photo Booth just being THEMSELVES -- makes them feel like a celebrity? Without the Kimye or Markle Sparkle effect? HASHTAG IT!! 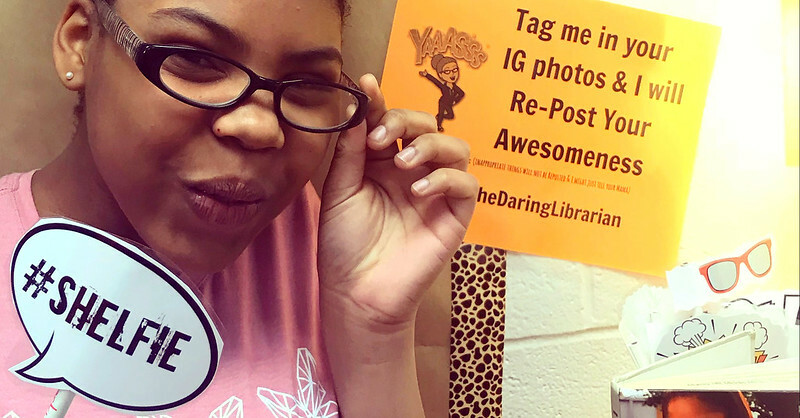 Create a unique hashtag for your library, school, or event and use it liberally! Every picture gets the hashtag. BUT --- check it out first. You don't want to use a hashtag that links to inappropriate content. Connect with the community via your hashtag. 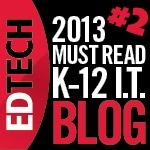 Use the hashtag for your school district, county, or state. 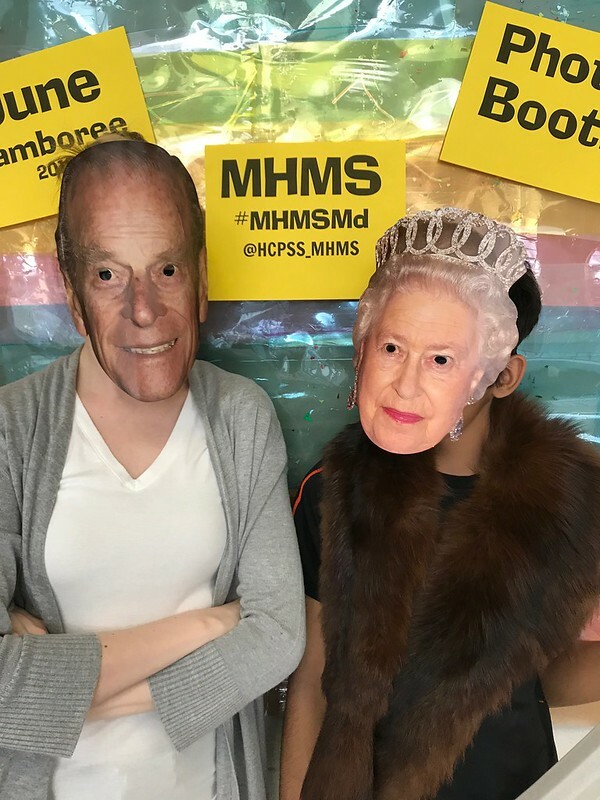 Twitter Example: #MHMSMd, #CelebrateHCPSS, #HCPSS, #HoCoMd, and #Maryland. 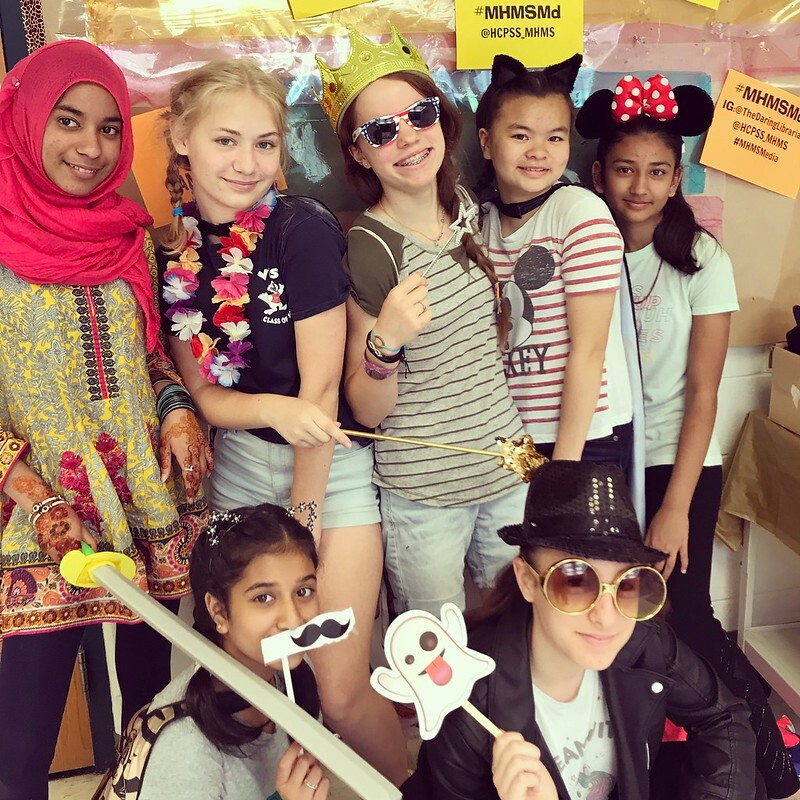 With so much negative out there in the news, especially about public schools and teenagers, on Social Media, don't you think fun Photo Booth pics of kids is a great way to push the positive? Laminate colored saran wrap while sprinkling glitter - then layer to create a stained glass rainbow 🌈 effect. 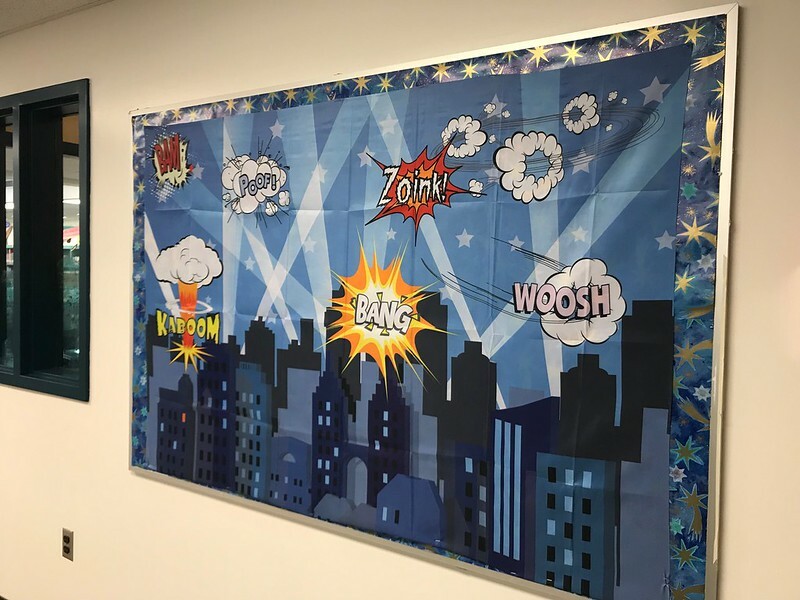 This is a cheap and easy way to decorate a library, a classroom, or a photo booth backdrop! Another reason, which didn't make the five, this doesn't cost a lot of money to set up. I went to the Art Room and got some brown butcher paper and slapped it up on the wall using decorative duct tape as a border. Then I made signs promoting our school Library on my computer with fun fonts using and printing out with our laser jet on bright colored paper. But I did NOT laminate them because - again - glare. When I make a mistake, I want to make sure no one else makes that same mistake, that's why I keep mentioning this! 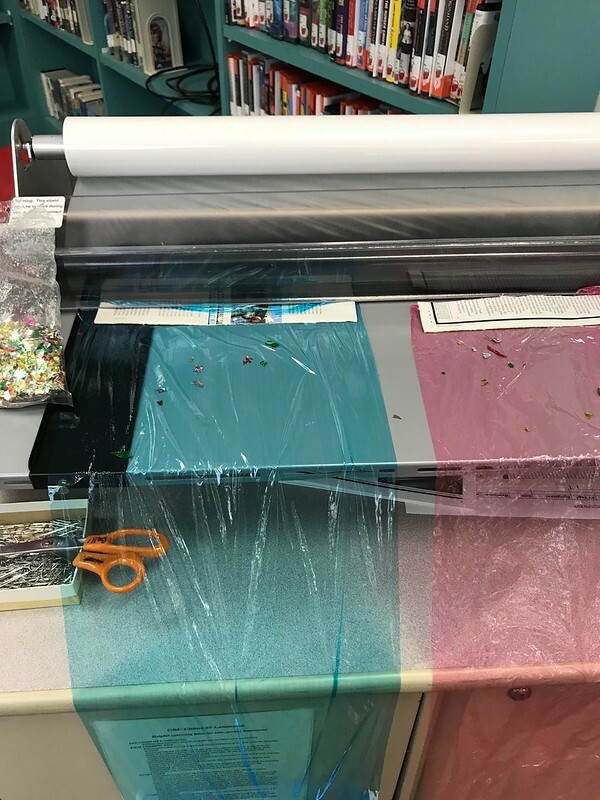 For the June Jamboree event I laminated colored plastic wrap with glitter, then layered the colors to create a shiny rainbow backdrop. Over that, I taped on the promotional signs with the event name, the hashtag, and our Twitter handle. These were not laminated and shiny. They can also be easily removed so the Photobooth background can be used again for another special event. Also, make sure you put the signs at the right height so that they won't be covered up by the kids or easily cut off by the camera. You can also buy pre-made cloth ones on Amazon or just use cheap felt. I thought about using black or green and then you could later do Photoshop Green Screen effects with the pictures! As always, thank you for reading and have a great summer friends!